Unisex plain 30mm (1¼") wide belt to fit most trouser loops - city suits or favourite jeans. 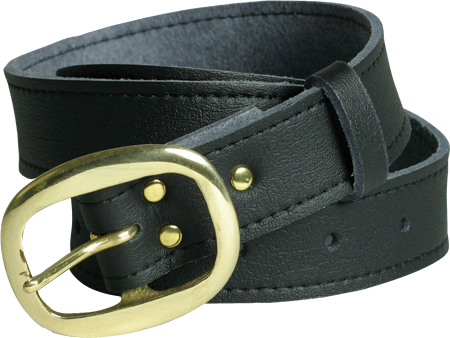 Topstitch detail and chunky solid brass buckle. Will not split. Available in Jet Black only. State waist size up to 120cm (47in) - this will be to the centre hole with room for adjustment!